In Nevada, annulments can be obtained if the marriage is void or voidable. A void marriage occurs when parties are related any closer than second cousins or cousins of half-blood and having a living spouse. If a marriage is void, there is no legal proceeding that needs to take place such as a decree of divorce or annulment. A voidable marriage requires a decree of divorce, annulment or other legal proceeding to legally sever the relationship. The grounds for a voidable marriage are discussed below. All annulment cases are different and the purposes for annulment are fact specific, therefore, you should consult an attorney to ascertain your options. Nevada has jurisdiction over your action for annulment if you were married here or if you meet the residency requirement. If you were only married in Nevada, you can only obtain an annulment. You must live here for at least six (6) weeks prior to filing for an annulment. If you meet the residency requirement, you may also plead for divorce in the alternative. You would want to plead for divorce as well because you can get the marriage dissolved even if the Court does not grant an annulment. The Court has a great deal of discretion in whether to grant an annulment, as opposed to a divorce, which is why a litigated annulment action is a bad idea. If your spouse does not contest the annulment, you can still get your Nevada annulment by a Default process. If your spouse contests, it will be up to the judge whether or not to grant it, based on the evidence you both provide. If both parties sign the Nevada annulment documents, it takes 1-4 weeks, on average, for the annulment to be granted. If only the Plaintiff signs the Nevada annulment documents, it takes 6-8 weeks when the Defendant can be served personally and about 15-18 weeks if the Defendant has to be served through a Publication process because he or she cannot be found. If a party to a marriage is not of legal age, the consent of the minor’s parent or guardian is required. If the consent is not obtained, the marriage is voidable and may be annulled by or on behalf of the minor. If the minor willingly cohabits with the other party to the marriage as husband and wife after reaching the age of 18, the marriage is not voidable. Annulment proceedings must be brought within one year after the minor reaches the age of 18. Some facts that could constitute grounds for an annulment based upon want of understanding would be gross intoxication, insanity, or mental disability. If a party to a marriage is incapable of assenting to the marriage due to want of understanding, the marriage is voidable by annulment. A marriage of an insane person is not void after their restoration to reason, if the parties freely cohabited together as husband and wife after the person is restored to sound mind. If consent to marry was obtained by fraud and proven by “clear and convincing” evidence, the marriage is voidable by an action for annulment. The standard for proving fraud is more stringent than proof of the other grounds for annulment. Arguments cannot be based upon a person’s general character such as being an abuser, adulterer, etc. Therefore, it might not be a good idea to claim fraud exclusively or claim fraud at all because the other grounds do not require such and the parties may stipulate to them without going to court. The marriage cannot be annulled for fraud if the parties to the marriage voluntarily cohabit as husband and wife after becoming aware of the fraud. A marriage is voidable and may be annulled for any cause that is grounds for declaring a contract void in equity. Examples are mutual mistake, undue influence, duress and negligent misrepresentation. It is very difficult to win a litigated annulment action based on the nature of the grounds and the great discretion the Court has in granting an annulment. 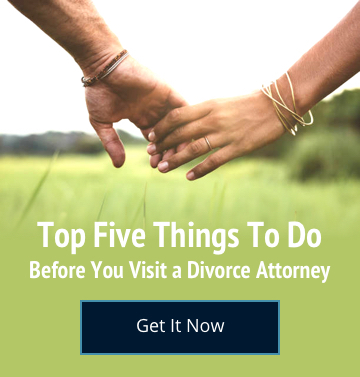 As such, it is much better if the parties agree to the annulment since your chances of obtaining an annulment are much better by agreement than they are by litigation.